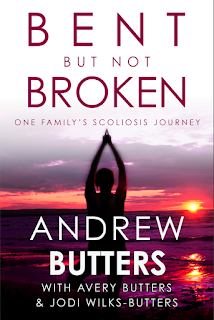 Author Andrew Butters: NHL Who? I'm a big hockey fan and I have been for as long as I can remember. Yes, I cried when my parents told me I was playing hockey that one fateful September day back in 1982, but I loved the game - I just didn't want to play it. Now, almost exactly 30 years later I can honestly say that I still really love hockey - its the people that run the teams and don the uniforms that bring tears to my eyes. Okay, it's not so much tears as it is pure unadulterated rage and loathing... but enough about me. If there's one thing this latest NHL work stoppage has shown me is that it's not about me. Or you. Or anyone else that makes NHL hockey possible for that matter. It's about players who think they're bigger than the game - entitled to more than half the daily take simply because they worked up a sweat, and it's about owners who think that they can mismanage their lemonade stand and still be entitled to profit. Make no mistake though, it's definitely not about the paying customer. They'll get their watered down, over priced, sour beverage - and they'll love every drop and come back for more. NHL hockey is the only professional league in the world to have lost an entire season due to a work stoppage, and do you know what happened when they came back? Seven years of record record revenues. Now we're on the verge of another collapse, for pretty much the exact same reasons that caused the last stoppage and fans are taking sides. Seriously? We are actually divided on who is to blame? Even Bob McKenzie, who has probably the greatest hockey mind the business has ever seen, won't pick a side on this one. Adore and revere someone else. Pay no attention to the spoiled brat in the corner, he'll find someone else to carry his books to class. You give someone else your hard earned dollar. Pay no dividends to the greedy, fiscally irresponsible jerks in the ivory tower, they'll move on and try to find another sucker to con. A very reasonable and wise man by the name of Neil Hedley wrote an article a couple days ago in a less scathing and vitriolic tone, but the message was essentially the same. Unless enough people say it, and enough people commit to it, we'll just be right back here again eight years from now and another eight years from then. So it's time for hockey fans to step up and do something worthwhile. Sell out the junior rink around the corner, up the road, or in the next town over. Simply because you can, head out to a high school or college game - and buy a giant foam finger. Read a damn book (I recommend Neil's) or get behind another sport (Lyndon Johnson has one that seems to be catching on). Just do something, anything, that keeps the NHL and its players from fooling you again.